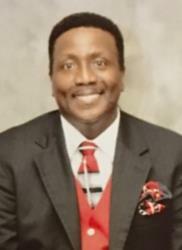 Mr. Roma Harris, 58, of Richmond, VA departed this earthly life on Sunday, January 13, 2019. Funeral service at 2:30 PM Saturday, January 26, 2019 at Abundant Life Christian Center COGIC, 4400 Old Poole Road, Raleigh, NC preceded by a 2:00 PM visitation. A wake will be held on Friday, January 25, 2019 at Bible Way Temple, 1110 Holmes Street, Raleigh NC at 7:00PM. Interment takes place on Monday, January 28, 2019 at 2:00PM.